Etowah Indian Mounds State Historic Site located near Cartersville, Georgia, is an easy drive from the Atlanta area and is a great place to stop and stretch your legs for those traveling along the I-75 corridor. 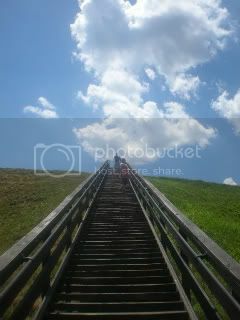 Reminiscent of a National Park, visitors enter the park through a Visitors Center, where you begin a self-guided tour. A short 15-20 minute video is shown that offers an overview of the history of the mounds. From there you may view the artifacts on display in the small interpretive museum. The exhibits detail the every day life of the Indians that once lived on these grounds. You’ll find the six mounds on site a short, easy walk from the Visitor’s Center. 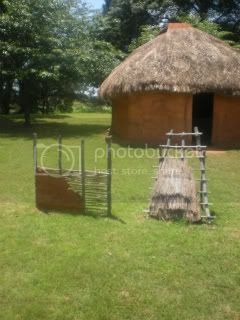 On the way to the mounds, you’ll pass a wattle and daub house, a dugout canoe, borrow pits and what was known as the plaza. It is believed that the occupants of the village used handmade stone tools to loosen and dig the soil before using baskets to carry the soil to build the earthen mounds. Only a fraction of this historic site has been excavated, as Etowah claims to be the most intact example of Mississipian Culture in the Southeastern U.S. 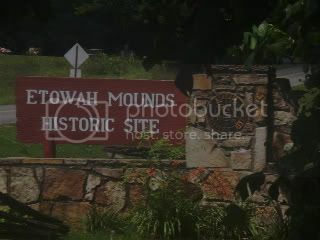 In 1964, Etowah was named a National Historic Site and is a sacred site for the Creek and Cherokee, descendants of Etowah’s earlier residents. 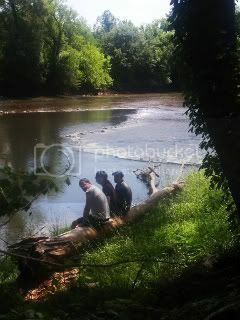 While visiting, you’ll want to climb at least one of the three largest mounds before making your way to the Etowah River where you can relax on a fallen tree at the river’s edge, rest on the wooden swing or enjoy a picnic lunch at one of the wooden picnic tables. 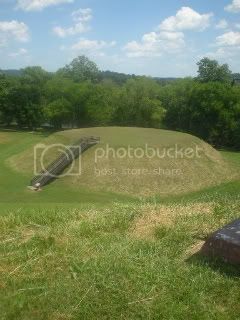 If you don’t have time to tour the site, you can drive past and see the mounds from the road, but I’d certainly encourage you to stop and climb the 65-foot tall ceremonial mound which will give you an excellent view of the entire grounds. 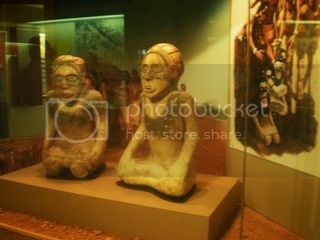 Plan to spend 1-2 hours learning about this culture. For current hours, admission or for more information you can contact Etowah Indian Mounds Historic Site at 770-387-3747. 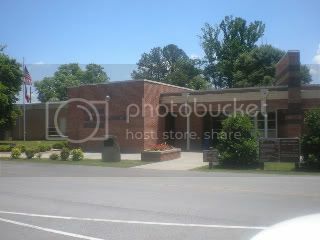 You’ll find the park at 813 Indian Mounds Rd. Cartersville, GA 30120.